Eureka! A Little About Us. 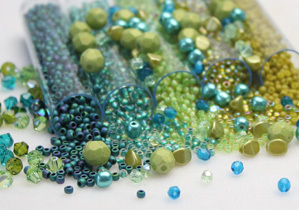 Enhance Your Beading with Winter Color Inspiration! Shop the newest bead trends! Stay updated – Sign up for our Newsletter! New Beads Added Every Week! Our custom coordinated mixes make all your projects effortlessly stunning! Birthstone Breakdown: Everything you need to know! We're nearing the home stretch of April, don't forget to submit your #cupchain pieces to the April Beader's Challenge! One random entry wins a prize 🎁 ENTRY DETAILS: Link in Bio! Metallic carrier beads - yes or no?